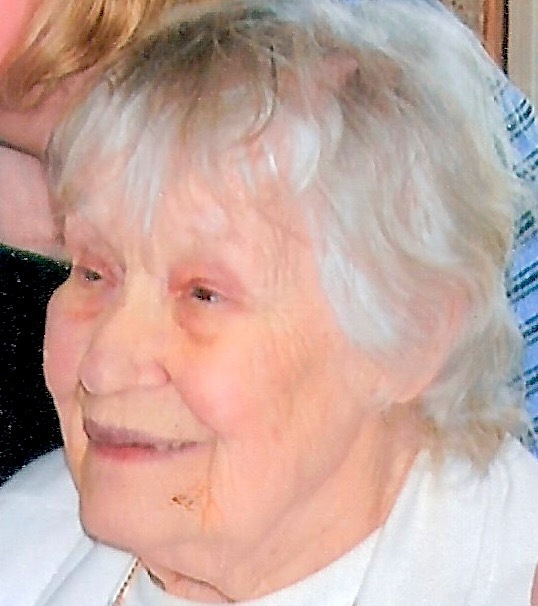 AUBURN – Mary Sage Hines, age 92, died October 4, 2018 at The Commons on St. Anthony. Mary was born in Genoa, NY on the 21st of November 1925 to Edwin and Viola Greene Sage. Mary was the last of 13 children and is survived by her daughter Lorian Austin (Gary); her grandchildren: Bobbie-Jo Conlin (Michael), Anna Leonard (Vincent), Jeffrey Austin (Loretta), and Michael Austin; and great-grandchildren: Justin Bryant, Daryl Bryant, Anthony Robinson, Cameron Nelson and Gabriel Austin. Mary grew up in Moravia, NY. She was married in 1944 spending many years in Cortland. She retired from the Crescent Corset Co. after 35 years working several positions and becoming an excellent seamstress. Mary was a fan of baseball, golfing, bowling, hunting, fishing, and knitting. Family and friends will gather at 10:30 a.m. before an 11:00 Memorial Service, Saturday, October 13, 2018, at the Heieck-Pelc Funeral Home LLC, 42 East Genesee St., Auburn, NY. Burial will be in Venice Center Cemetery at 2:00pm. The family has requested that in lieu of flowers, donations in memory of Mary Sage Hines be made to the Second Baptist Church at 1 N. Herman Ave., Auburn, NY 13021.